"We expect this profile to continue over the short-term, as low mortgage rates encourage existing borrowers to remortgage and government schemes help first-time buyers. 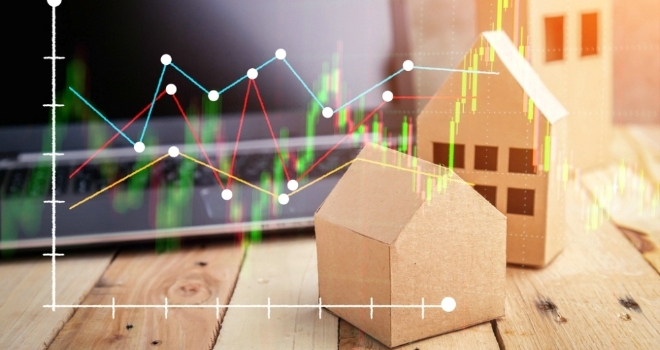 We do not expect any marked effect from the General Election"
The latest analysis and statistics from The Council of Mortgage Lenders has revealed that gross mortgage lending reached £21.4 billion in March - a drop of 19% compared to March last year. According to many, the sharp fall in year-on-year lending was expected, as March last year saw significant rises in activity as borrowers rushed to beat the second property stamp duty deadline that came into effect from the beginning of April. Mohammad Jamei, CML senior economist, commented: “Mortgage lending appears to be in neutral gear. Our gross estimate for March is £21.4 billion and this is broadly in line with average monthly lending over the past year. Within this aggregate level, there has been a shift towards first-time buyer and remortgage customers, away from home movers and buy-to-let landlords. Industry responses focused on future constraints, as many predicted further 'complexity' for borrowers - John Eastgate of OneSavings Bank spoke of the 'pressure' in the purchase market as a result of low supply, and IRESS's Henry Woodcook noted that inflation 'is starting to eat into wage growth'." John Phillips, group operations director at Just Mortgages and Spicerhaart says, “It is promising to see that gross mortgage lending in March increased by 19%. It was of course going to be lower than the previous March due to the influx of borrowers rushing to beat the increase in stamp duty for buy-to-let and second homes. Jonathan Harris, director of mortgage broker Anderson Harris, says: "The mortgage market continues to tick along with competitive products on offer to those borrowers who are getting on with the business of buying and selling, or remortgaging their homes. While the General Election is a distraction, there is only a few weeks until it will all be over so it doesn’t look as though it will have too much of an impact on people’s decision-making. ‘With Atom Bank launching a five-year fix at a rock-bottom rate of 1.29 per cent last week, only to pull it yesterday, it is clear that there is a real appetite from borrowers for competitive products. Lenders are keen to lend and know what they have to do to attract business - offer great deals and be more flexible on criteria, which we expect to continue in coming weeks." Jeremy Leaf, north London estate agent and a former RICS residential chairman, had this to say: "The CML figures are interesting because they confirm what we have been seeing for some time - that the housing market is moving more into balance between supply and demand. First-time buyers are taking advantage of reduced competition from buy-to-let investors and accessing Government schemes such as help to buy, enabling them to make more of a statement in the market. As these figures pre-date the election announcement, it is impossible to say what impact that is likely to have although we don’t expect to see much change bearing in mind the reaction over the past few days." Henry Woodcock, principal mortgage consultant at IRESS, said: “There was a concern that the drop in gross lending in February would continue into March, especially given a matching decline in approvals last month. But borrowers continued to see the opportunity to significantly save money on their mortgage deals in the current low interest rate environment which, combined with the modest average increase in house prices, has encouraged both house buyers and remortgagers alike to secure a new mortgage. Going into April, the outlook for gross lending doesn’t look rosy. In addition to the snap general election announcement, which may result in people delaying significant financial commitments in the short term, there are also a few other factors at play that might dampen mortgage activity. Although unemployment remains low at under 5%, inflation is starting to eat into wage growth and is above the government’s 2% inflation target. John Goodall, CEO and co-founder of buy-to-let specialist Landbay comments: “Mortgage lending held up well in March, as borrowers continued to take advantage of the more friendly purchasing conditions with record low interest rates and loan-to-value deals. First time buyers and remortaging activity drove lending volumes up as lack of supply and stretched affordability continued to impact the market. Mark Dyason, director of Edinburgh Mortgage Advice, had this to say: "The market overall may be in neutral gear but first time buyers are in top gear. We are seeing a huge amount of pent-up demand from first time buyers hit the market. For so long landlords have held all the cards but with the various tax changes applied to buy to let first time buyers are firmly in the driving seat and are putting the pedal to the floor. With people increasingly wary of rate rises, remortgage levels also remain high. Inflationary pressure to come means the first rate rise in a long time may no longer be too far off. Brexit-related uncertainty continues to see many would-be movers sit on their hands, and the General Election could see even more conservatism in the months ahead. Dire supply levels are also damaging demand. There's very little on the market and people aren't in a hurry to buy homes they sense are languishing rather than electrifying. At the high end of the market there has been an influx of cash buyers over the past nine months given the weakness of the Pound. But with Sterling seemingly in bounce-back mode, we may see this trend tail off. The irony is that the overall neutral market may be good news for the consumer as lenders will miss their targets and so drop rates to make their products look more attractive. Just look at ATOM selling out a 1.29% 5-year fix in a week: lenders are having to try new things to get the volumes through the door." Richard Pike, Phoebus Software sales and marketing director, said: “The figures released by the CML today show that there is still an appetite from borrowers wanting to take advantage of low interest rates, especially in the remortgage market. Of course the question everyone will be asking is will the upcoming election have an effect on the housing market? Will another round of electioneering cause people to take a step back and wait? Or, as happened with the Brexit vote, will people continue with their attitude that the world keeps turning and if the time is right the time is right.